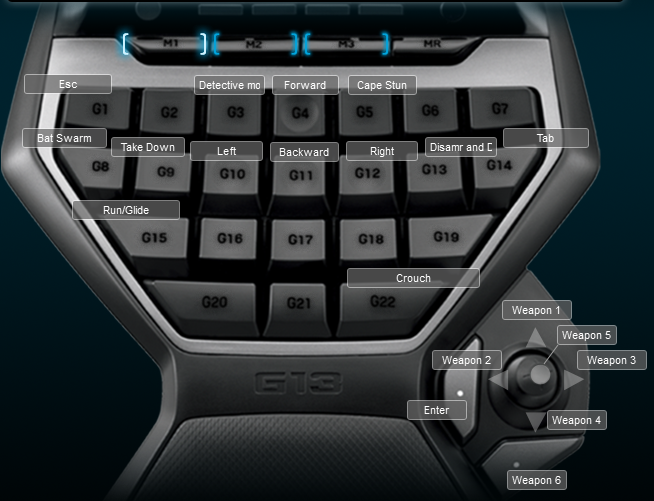 I finished Batman Arkham Asylum and started Batman Arkham City and the controls changed enough that I needed to create a new Logitech G13 profile. Below is the keyboard layout. I put grapple and zoom on my mouse’s extra buttons. So far I like the keyboard and mouse better than my XBOX 360 controller.